The Apex had several interesting technical achievements when we played with it at MWC. Most obviously, the screen covered almost the entire face of the device. 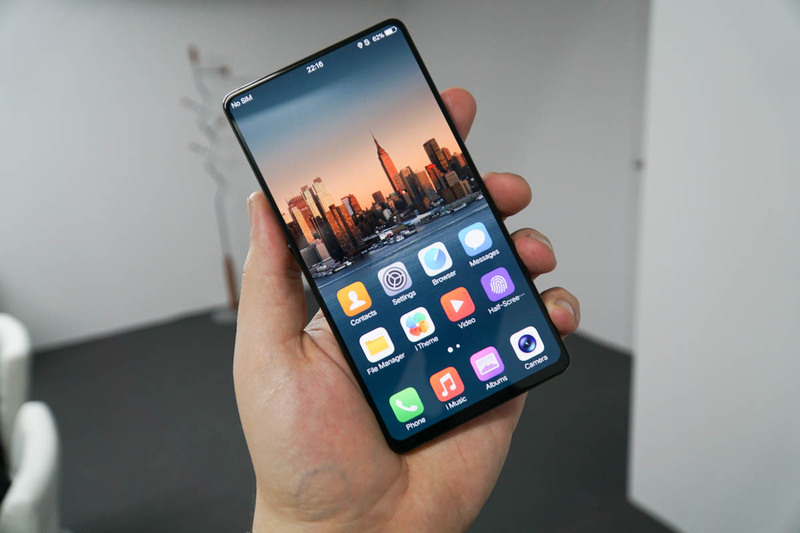 There was a very small chin at the bottom, but Vivo reps said that could be eliminated in a production device. Indeed, the promo image for the event shows the Apex without a chin. Without a screen notch, you need to put the front-facing camera someplace weird. Vivo opted to add a motorized pop-up housing for the camera. It was entertaining to play with if nothing else. Vivo also showed off the sizeable in-display fingerprint sensor on its prototype phone, which covered the bottom third of the display. Vivo stops short of saying the phone will launch next month. Instead, it says the event will "[continue] Vivo’s vision with Apex FullView Concept Smartphone." At the same time, Vivo has released the above ad to promote its role as the smartphone sponsor for the 2018 World Cup. That appears to be a production version of the Apex or something like it throughout the video. We'll know more on June 12th, but it's unlikely most people reading this will be able to buy the Apex even if it comes out. Vivo operates almost exclusively in Asia.